Listen To Kanye West, Rihanna & Paul McCartney in New Song "FourFiveSeconds"
On the new song, “Four Five Seconds” Rihanna, Kanye and Paul give a taste of what’s to come from Rihanna’s upcoming album, according to sources. The song, which came by surprise following Kanye West and Paul McCartney’s duet “Only One,” surfaced over the weekend. On the track, Rihanna can be heard singing with her soulful Caribbean tone over a down-home acoustic sounding guitar and organ believed to have been played by McCartney while Kanye laces the track with his vocals. The unexpected released track has been reported by many sources as a Rihanna track while some reports claim the track could possibly be a release by Kanye West. 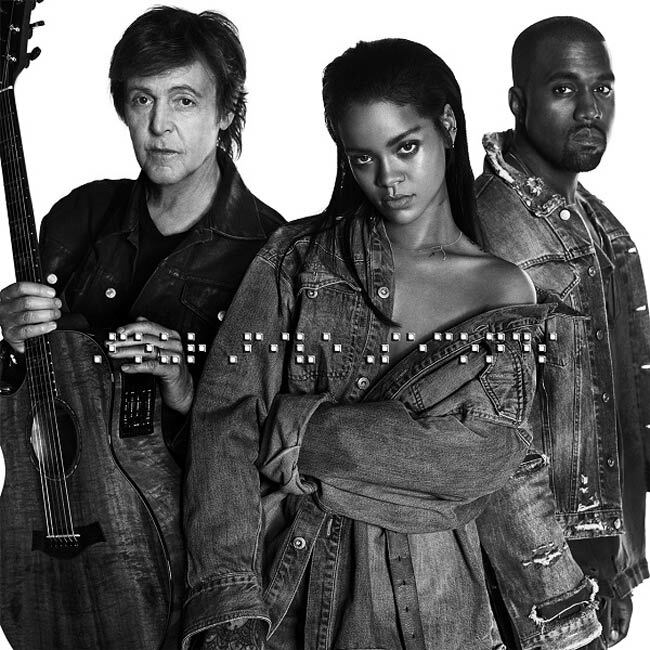 Anyway, take a listen to the new song “FourFiveSeconds” with Kanye West, Rihanna and Paul McCartney.